On April 4th at 2:55pm Chelan Fire & Rescue crews were dispatched to a reported brush fire in the area of Chelan Ranch Road and Purtteman Gulch Road. Arriving crews found a fully engulfed chicken coop threatening adjacent structures with fire that had spread into approximately 2 acres of grass and brush behind the residence on Whitetail Lane. Chelan Fire & Rescue called for a second alarm with notification to CWICC due to the rapid fire spread that was driven by 10 mph winds. A third alarm was called when the fire threatened nearby structures and the eastern fire spread had moved towards Union Valley. DIABLO – Forget about that groundhog. A sure sign of spring in the Pacific Northwest is the announcement that the clearing of 37 miles of State Route 20 connecting the Skagit and Methow valleys began yesterday, Monday, March 25. Washington State Department of Transportation’s west side maintenance crew began clearing the scenic highway from Colonial Creek to the Ross Lake Overlook at Diablo Gate on Monday. From the east side, crews cleared from Early Winters up 7 miles to Silver Star Gate – and kept going. By mid-morning Tuesday, March 26, crews cleared one lane for an additional 7 miles to Lone Fir (campground). The barricades will remain in place at Early Winters because crews will need to remove some trees that pose a danger to travelers before it’s safe to allow people beyond the gate. The crews expect to meet between Rainy and Washington passes within four to six weeks. The work can take longer if there is late spring snow or move more quickly if warmer temperatures accelerate snowmelt. Another route between western and eastern Washington for travelers. Access to hiking trailheads and campgrounds. During an assessment trip on Monday, March 18, WSDOT avalanche and maintenance staff found 6 feet of snow at Rainy and Washington passes; that’s 4 feet less than last year. Public access between the closure gates is allowed during the winter months but during the Monday through Thursday clearing process, that space is a legal work zone closed to the public due to the heavy equipment used in the clearing. In spring 2018, crews needed seven weeks to clear the highway. Clearing started on March 26, and the highway reopened on May 11. The latest opening was in 1974 when the highway reopened on June 14. During the winter of 1976 to 1977, there wasn’t enough snow to ever close the highway. Follow the 2019 reopening effort on the North Cascades Highway webpage, on the WSDOT Flickr account or through the WSDOT North and WSDOT East Twitter pages. Manson School District Board of Directors announced the 2019 Blue and White Excellence Awards winners at its March 25th board meeting. Nominations were submitted by staff, students and community members. Award recipients were: High School teacher Susan Sears was the certificated winner and middle/high school attendance clerk Gabby Lopez was the classified winner. Both Gabby and Susan will be honored at the next School Board Meeting on April 29th and at the Chelan County Education Awards Banquet on April 23rd. Manson FFA recently competed in the District #7 Employment Skills Leadership Development event. Members that competed were: Teresa Venegas, Bryce LaMar and Blake Cochran. In this event students had to complete a job application, cover letter, resume and a thank you note after the completion of a 20-minute job interview. There was a total of 36 competitors in this year’s event. OLYMPIA – With a record-setting winter finally in the history books, the arrival of spring means drivers in Washington have until Sunday, March 31, to remove studded tires. On March 3, 2019 at approximately 7:05 PM a fire was reported at the Bluebird facility located at 10135 Peshastin Mill Rd. The fire destroyed a 36,000 square foot structure. The structure contained 12 CA rooms, 10 of which contained approximately 250,000 boxes of packed pears. The estimated dollar loss is approximately $9,000,000 for the fruit and approximately $8,000,000 for the structure. A fire investigation ensued and was a cooperative effort with the Chelan County Department of Fire Prevention and Investigations, the Bureau of Alcohol, Tobacco and Firearms (ATF) fire investigation section, the Chelan County Sheriff’s office, and fire investigators representing Travelers Insurance. Through the process of interviews, eye witness reports and investigation of the fire scene the area of origin has been narrowed down to an area outside of the structure where pallets of cardboard and other combustible material used in the packing of fruit was stored under an awning prior to being used. We identified a light in the area of origin as a possible ignition source; however, we were not able to exclude the possibility that the fire was intentionally set. At this time, the fire is classified as undetermined. The demolition of the building will occur in the next 2 weeks. The interior of the building will continue to smoke and at times open flames will occur as material continues to consume. The county road will remained closed as the road will be used to transfer material out of the rooms. The North wall continues to be unstable and the public is advised to stay out of the area due to the possibility of collapse outward toward the road. The Port of Chelan County has entered into a lease agreement for its first tenant at the Port’s Cashmere Mill District Business Park. Hurst International, a Chatsworth, California based fruit label printer and labeling equipment manufacturer, has agreed to lease approximately 6,500 square feet. This recruitment success is expected to bring 10 new jobs and private investment exceeding $1,000,000 to Chelan County. The founder of Hurst International, Ari Lichtenberg, stated “We have had a growing presence in the region with our cutting-edge products and processes. Now is the time to add a manufacturing presence to serve our growing list of customers in Washington State.” Current regional customers include Gebbers Farms, Auvil Fruit, and Chelan Fruit. Cashmere is excited to see Hurst join Louws Truss in providing quality jobs in Cashmere. We look forward to more companies and jobs coming to this location. The Port has not even completed the buildings yet and the first tenant has been secured. I would like to thank the Port Commissioners for their forward looking investment in our community,” said Cashmere Mayor Jim Fletcher. The Port of Chelan County is governed by three elected Port Commissioners: JC Baldwin, Donn Etherington and Rory Turner. Fire Commissioner Russ Jones (Chairperson of the Board of Fire Commissioners) announced that Fire Chief Timothy W. Lemon of Chelan Fire and Rescue has stated his intent to retire 12/31/2019. Chief Lemon has spent the last 10 years, of a 40 year career serving as the Fire Chief of Chelan Fire and Rescue. Commissioner Jones expressed his sincere appreciation for Chief Lemon’s experience, expertise, dedication and the professionalism that he brought to Chelan Fire and Rescue. “When you look around the department and community you can see the positive impacts that Chief Lemon has made.” said Jones. Improved response times, better trained and educated personnel, increased the number, type and safety of our fire apparatus, built two new fire stations in the outlying areas, improved WSRB fire classification throughout the district and has had a positive impact on all of the fire departments in Chelan Douglas County through his role as the President of the Chelan Douglas County Fire Chief and Commissioners Association for three years. Chief Lemon has developed a strong professional and dedicated combination fire department that is appreciated by the community and recognized by the fire service community throughout the state. Under the direction of Chief Lemon, the department has earned numerous State Management of Excellence Awards, and has had CFR personnel recognized at the state level for their achievements. The District has brought in over $2.6 million dollars in grant funds under Chief Lemon’s direction.” I hope we will be able to find someone with his qualities, know-how and willingness to go the extra mile.” said Jones. The department will start the process to find Chief Lemon’s successor later this year. OLYMPIA – A unique partnership between the Washington State Department of Transportation, Sound Transit and Washington state-based credit unions will help underserved businesses participating in WSDOT’s Capacity Building Mentorship program with alternative financing options. The mentorship program has been operating successfully since July 2018; however, access to capital continues to be a primary barrier to small businesses and those owned by minorities, veterans and women. Verity Credit Union, BECU and Harborstone Credit Union are making a total of $750,000 in loans available in support of Washington’s diverse business community. Business Impact NW will administer the loans to firms participating in the mentorship program. The Capacity Building Mentorship program pairs small, minority-, veteran- and women-owned businesses with successful prime contractors and consultants. These mentors provide technical assistance and business advice to strengthen the protégés’ capacity to work with WSDOT and Sound Transit. The mentorship program is part of WSDOT’s State Funded Contracts – Diversity Roadmap and one of the highlighted efforts of the Governor’s subcabinet on Business Diversity. The Manson School Board recently asked community members for nominations of Manson School District Staff Members who have made a significant contribution to the lives of students and/or the greater Manson community. Aaron England, owner of England Chiropractic, parent and community member contacted the school district earlier this week and wanted to make a financial contribution to those staff members selected for this award. England Chiropractic will donate $500 to each recipient of the 2019 Blue and White Awards to use in their professional work. Manson School District would like to thank Aaron for his generous donation and ongoing support of Manson Schools. Nominations for this award are being accepted until March 18, 2019 at noon. You can submit one classified and one certificated staff member. Winning nominees will be announced at the Manson School Board meeting on March 25, 2019 at 6:00 p.m.
On Monday, February 25th, Manson’s Knowledge Bowl team battled against a very tough pool of 2B competition at the North Central Washington Regional Knowledge Bowl Tournament held at Wenatchee High School. The Manson team competed against four other 2B schools: Liberty Bell, Tonasket, Soap Lake, and Brewster. All of the schools were fighting for one of the three spots that would guarantee a berth to the 37th Annual Washington State Knowledge Bowl Tournament on Saturday, March 23rd at West Valley High School in Yakima, Washington. Last year, Manson missed going to State by one point to Soap Lake. This year was a different story. During the oral rounds, they fought hard and easily defeated Brewster, Tonasket, and Soap Lake. The toughest competition for Manson was the perennial juggernaut and State Contender Liberty Bell. By the end of the night, Manson (65 points) sent a clear message to Soap Lake (54 points) that they were not going away without the win and hardware. With their drive and determination, Manson clearly took 2nd place. Liberty Bell achieved top honors, finishing the night with a whopping 116 points. 3rd place went to Soap Lake, Tonasket took 4th with 35 points, and Brewster finished the night with a 5th place finish and earned 26 points. The six members representing Manson High School Knowledge Bowl team at State are: Tyler Charlton (Captain), Jose Pascasio (Co-Captain), Connor Torgesen, Louis Sanchez, Rowan Evig, and Cody Fitzpatrick. When you set your clocks forward for Daylight Saving Time, which is March 11 this year, it is a good time to review the safety checklist. Smoke AlarmsSmoke alarms save lives – if they are powered by a fresh battery. You should test them every month to make sure they work & replace the battery at least once a year according to the NFPA. If the alarm makes a “chirping” sound, replace it immediately. Smoke alarms should be located in every bedroom & in the common areas on each floor of a home. Mount them at least 10 feet from the stove to reduce false alarms, less than 12 inches from the ceiling & away from windows, doors & ducts. Did you know smoke alarms can be interconnected wirelessly? That means, when one sounds, they all sound. A Consumer Product Safety Commission survey found this is the best way to notify everyone in a home if there is a fire. Carbon Monoxide DetectorsCarbon monoxide (CO) is an invisible, odorless gas and it can kill you. Anything in the home that burns fuel can potentially become a source of carbon monoxide. CO alarms should be installed in a central location outside each bedroom and on every level of the home. The safety tips for CO detectors mirror those of smoke alarms: change the batteries, test them and interconnect them, if possible. Also, make sure vents for your gas appliances (fireplace, dryer, stove and furnace) are free and clear of snow or debris. Family Emergency PlanThe National Safety Council recommends every family have an emergency plan in place in the event of a natural disaster or other catastrophic event. Spring is a great time to review that plan with family members to make sure they know what to do. Have a home and car emergency kit. The Federal Emergency Management Agency says an emergency kit should include one gallon per day of water for each person, at least a three-day supply of food, flashlight and batteries, first aid kit, filter mask, plastic sheeting and duct tape, and medicines. A communications plan to outline how your family members will contact one another if they are not in the same place and where you should meet if it’s safe to go outside. A getaway plan including various routes and destinations in different directions. Keitlyn Watson, Principal of Manson Elementary has informed the Manson School Board of her intent to resign at the end of the 2018-19 School Year. Ms. Watson has recently gotten married (congratulations!) and will be moving to the Bellingham area to live with her new husband. She has served in Manson for three years and made a substantial impact on students and staff. Ms. Watson shared “she absolutely loves this community and the environment, and will miss everyone greatly.” We are happy for Keitlyn as a friend, mentor and colleague though we are saddened she will be leaving our community. We all wish her the very best of luck in her future endeavors. Manson School District will be advertising the Manson Elementary Principal position and seeking applicants. In order to hire the very best candidate available we will be interviewing prospective candidates in the last week of March and hope to announce the new principal by mid-April. Our selection process will include opportunities for parents and staff members to be involved in the hiring process. We will send out the specific times and dates for parent participation opportunities in the near future. Manson's District Spelling Bee was held Thursday, February 21, 2019 at the Manson Elementary School. This year 12 students from 4th through 8th grade competed for the District Spelling Bee Champion title. The spelling bee lasted 7 rounds. The final 2 spellers were Carter Lyman and Ben Cullison, both 7th grade students. The Manson School District Spelling Champion is 7th grader Carter Lyman with the winning word "sachet". These finalists will advance on to the NCW Cooperative Spelling Bee in East Wenatchee on March 19, 2019. Manson Parks will begin registration for AAU T-Ball, Softball, and Baseball on March 4th. Registration ends on March 15th at 6pm. Registration forms will be distributed through the Manson School District, or they can be found on our website at www.mansonparks.com. Cost to play is $25 for t-ball and $30 for softball and baseball. Please call our office with any questions at 509-687-9635. Manson Parks will hold a Special Meeting on March 6th at 5:30pm at the Grange in Manson. The purpose of the meeting is to update the community on the Parks’ current activities, including the Leffler Park project. We encourage everyone to come learn about the latest park happenings, and voice their opinions! Wednesday, February 20, 2019 at 3:00 P.M. 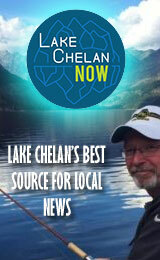 Proposed Chelan Fire and Rescue agenda pending Board approval. * Vouchers for January 2019 General Account: Vouchers #18575 – 18596 for $18,846.97; Vouchers #18597 – 18612 for $21,964.57; Vouchers #18624 – 18634 for $7,337.36. * Vouchers for January 2019 Capital Account: Vouchers #17088 - 17089 for $5,405.71; Vouchers #17090 for $5,500.00. * Minutes: January 9 and 30, 2019. * Resolution 2019-00 Surplus Fire Apparatus. * Lake Chelan Emergency Services Submit 03/07/2019, 0900hr to 1100hr. * 03/16/2019, 1800hr – 2018 awards Banquet, Campbell’s Resort. Commissioner Comments: No action to be taken. RCW 42.30.110(1)(g). To evaluate the qualifications of an applicant for public employment or to review the performance of a public employee. RCW 42.30.110(1)(c) to consider the minimum price at which real estate will be offered for sale or lease when public knowledge regarding such consideration would cause a likelihood of increased or decreased price. Nominations will be accepted until March 20, 2019 at noon. Winning nominees will be announced at the Manson School Board meeting on March 25, 2019 at 6:00 p.m. The Manson Trojans traveled to the Tri-Cities this past weekend and performed well in two games at Hanford High School. The first game on Friday the Trojans defeated the higher seeded Walla Walla Valley Academy 67-61 behind the sharp shooting of senior Avery Thompson who lead the team with 31 points. The following afternoon the Trojans battled league champion Oroville tough before falling 52-43. This weekend the tournament shifts to the north with the CWB hosting teams from District 5 and 6 in Chelan on Friday and Saturday. Manson kicks the weekend off Friday at 3:30pm where they will face Tri-Cities Prep. If Manson wins on Friday, they will play the winner of Columbia-Burbank and White Swan on Saturday at 12:15pm. Manson needs to win both to earn spot in the regional round of the State Tournament. Best of luck and Go Trojans! Know the symptoms of carbon monoxide poisoning: headache, dizziness, weakness, nausea, vomiting, sleepiness, and confusion. If you suspect CO poisoning, get outside to fresh air immediately and then call 911. Symptom severity is related to both the CO level and the duration of exposure. For slowly developing residential CO problems, occupants and/or physicians can mistake mild to moderate CO poisoning symptoms for the flu, which sometimes results in tragic deaths. For rapidly developing, high level CO exposures (e.g. associated with use of generators in residential spaces), victims can rapidly become mentally confused and can lose muscle control without having first experienced milder symptoms, and they will likely die if not rescued. The Manson High School Vex Robotics Team attended the CWU League #3 Vex Robotics Tournament at Seattle Preparatory School on January 26-27, 2019. The students earned 2nd place out of sixteen teams at the competition. The team also earned the Programming Skills Champion Award for their robot’s autonomous software program. The Educator Award was awarded to their coach, Susan Sears. The team is comprised of (L-R)- Titus Petersen, Jose Vazquez, Jonathan Sarmiento, Cole Cochran, Zoe Thomas, Cara Hutton, (not pictured) Rowan Evig, Connor and Grant Torgesen.